Earth’s invasion fleet at the Red Planet now stands at a record breaking seven spacecraft following the successful arrival of a new pair of probes from the US and India in late September 2014. NASA’s newest Mars mission, the Mars Atmosphere and Volatile Evolution (MAVEN) spacecraft successfully entered orbit around the Red Planet on Sept. 21, 2014 at 10:24 p.m. EDT, to conduct the first detailed study of the planets tenuous upper atmosphere and unlock mysteries on its habitability. The MAVEN spacecraft completed the crucial Mars Orbit Insertion (MOI) maneuver after firing its six braking thrusters for approximately 34 minutes and 26 seconds. 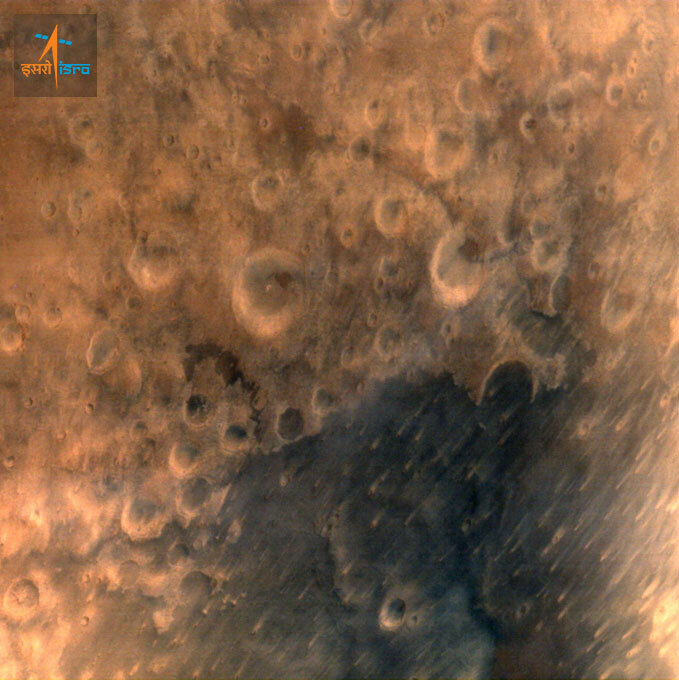 Space history was made again two days later when India’s car sized Mars Orbiter Mission (MOM) successfully fired its braking rockets and arrived in Mars orbit on Sept. 23 EST/Sept. 24 IST on the nation’s first attempt to explore the Red Planet. Indeed MOM is India’s maiden interplanetary voyager ever. “A post MOI assessment indicated we are in a stable capture orbit of approximately 35 hour duration. Five additional burns will reduce that to the planned 4.5 hour science mapping orbit,” Mitchell noted. MAVEN arrived after a trouble free and fantastic 10-month interplanetary voyage of 442 million miles from Earth to the Red Planet. 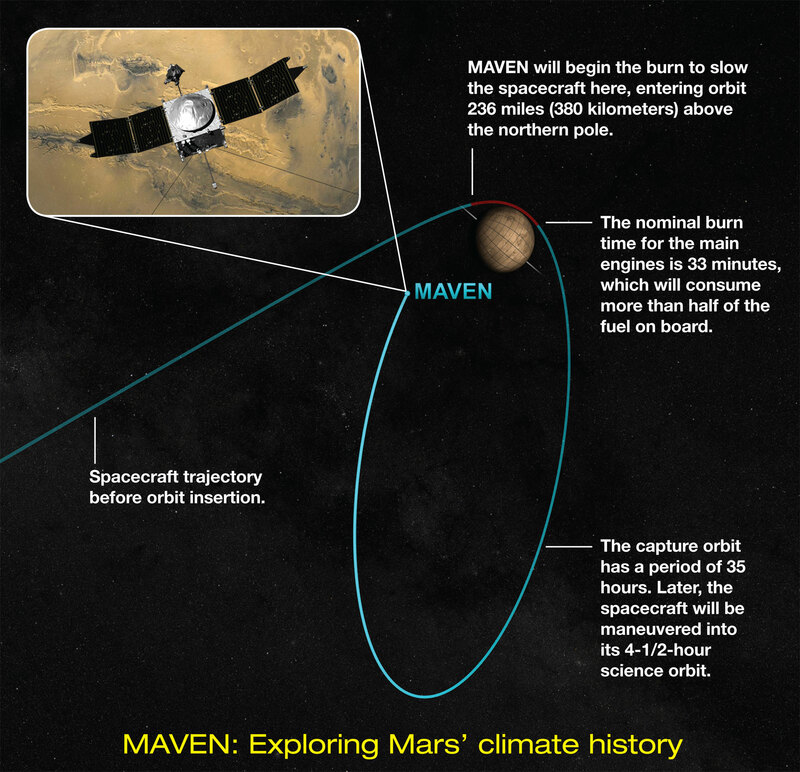 MAVEN joined an armada of five spacecraft already exploring Mars in great detail but with different science goals. 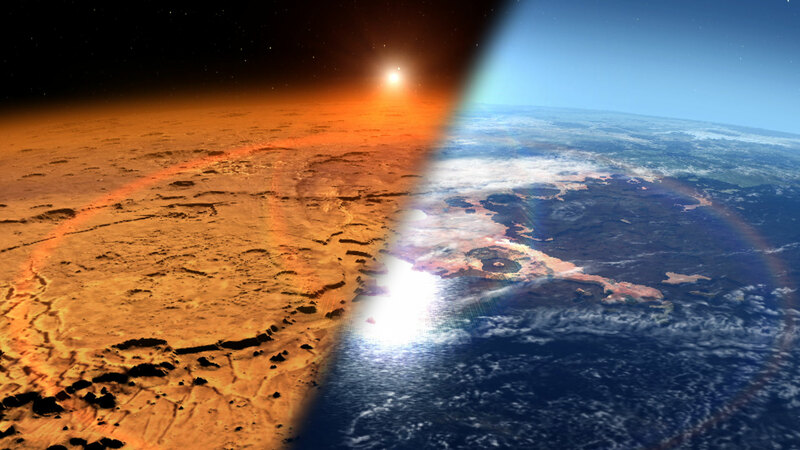 MAVEN will investigate Mars transition from its ancient, water-covered past, to the cold, dry, dusty world that it has become today. It is NASA’s first orbiter specifically dedicate to investigate the planets thin upper atmosphere and begin solving the riddles of Mars’ climate mysteries, atmospheric and water loss and habitability. “Where did the water go and where did the carbon dioxide go from the early atmosphere? What were the mechanisms?” notes Jakosky. The 5,400 pound MAVEN probe carries nine sensors in three instrument suites to study why and exactly when did Mars undergo the radical climatic transformation. “I’m really looking forward to getting to Mars and starting our science!” Jakosky told me recently. MAVEN thundered to space on Nov. 18, 2013 following a flawless blastoff from Cape Canaveral Air Force Station’s Space Launch Complex 41 atop a powerful Atlas V rocket and thus began a 10 month interplanetary voyage from Earth to the Red Planet. 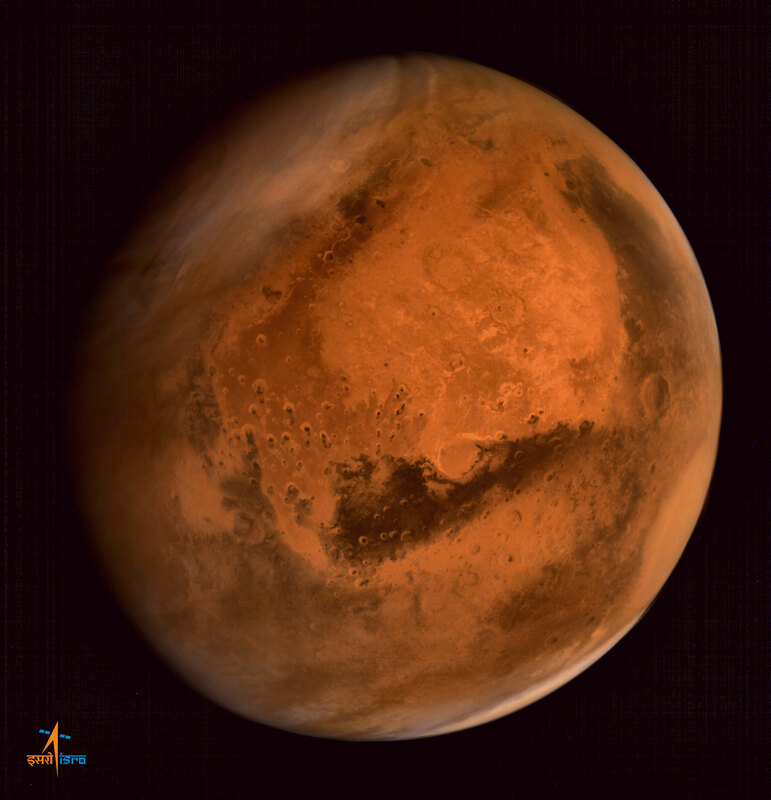 With MOM’s orbital insertion at the Red Planet, India joined an elite club of only three other entities who have launched probes that successfully investigated Mars – following the Soviet Union, the United States and the European Space Agency (ESA). Wild applause erupted with beaming smiles from ear to ear at India’s Bangalore mission control center after signals confirming a successful full duration firing of the crafts engines for 24 minutes and 13 seconds for the crucial Mars Orbital Insertion (MOI) maneuver that placed MOM into orbit, were received precisely as planned at 10:30 p.m. EDT (Sept. 23) or 8:00 IST (Sept. 24). 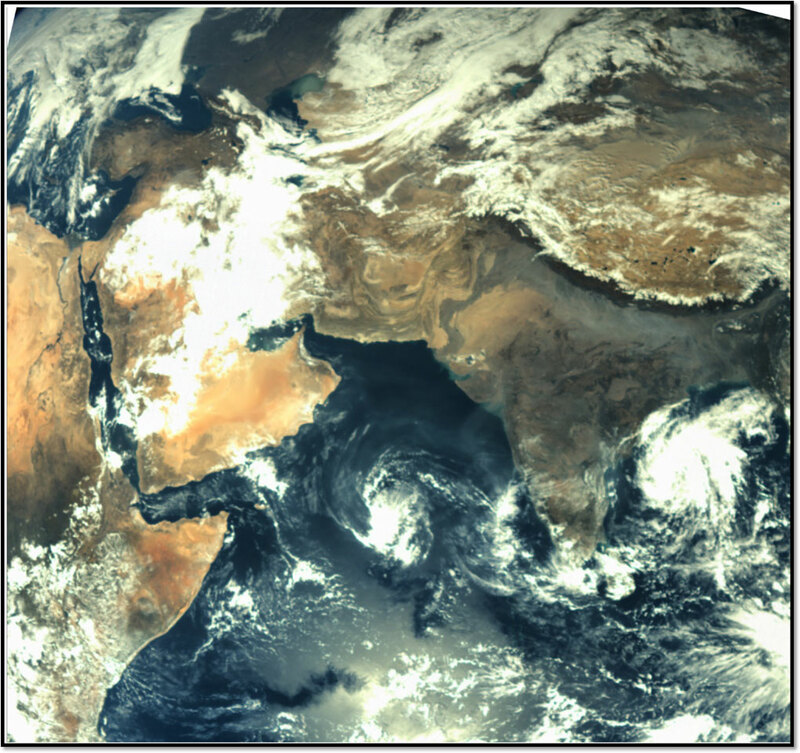 MOM’s Red Planet arrival was webcast live worldwide by the Indian Space Research Organization (ISRO), India’s space agency which designed and developed the orbiter. ISRO’s website also gave a play by play in real time, announcing the results of critical spacecraft actions along the arrival timeline just moments after they became known to the engineers. On her over 10 month interplanetary voyage, MOM crossed an interplanetary gulf of some 442 million miles (712 million km) from Earth to the Red Planet. MOM was launched on Nov. 5, 2013 from India’s spaceport at the Satish Dhawan Space Centre, Sriharikota, atop the nations indigenous four stage Polar Satellite Launch Vehicle (PSLV). MOM and MAVEN join Earth’s newly fortified armada of seven spacecraft currently operating on Mars surface or in orbit – including Mars Odyssey (MO), Mars Reconnaissance Orbiter (MRO), Mars Express (MEX), Curiosity and Opportunity. Scientists from MAVEN, Curiosity, Opportunity and all the orbiters will work in concert utilizing all the data to elucidate the history of Mars potential for supporting life – past and present. 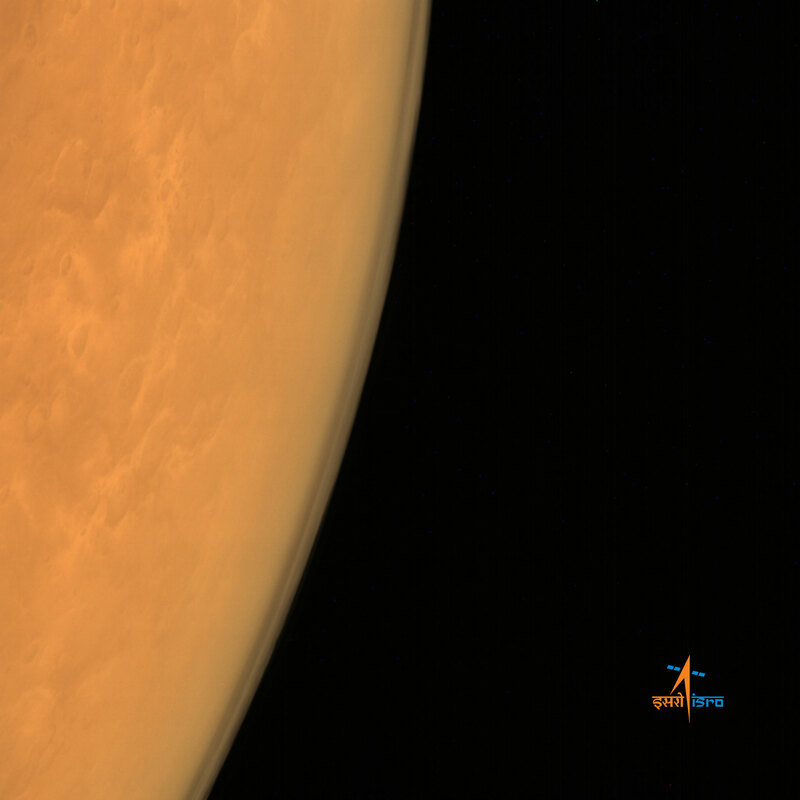 Both MAVEN and MOM have already transmitted their first scientific results and images amidst all the work of their commissioning phases, indicating that both probes and all the scientific instruments and healthy and functioning properly. We’ll detail their ongoing Red Planet research and close encounter with Comet Siding Spring on Oct 19, 2014, in future issues of RocketSTEM.